Living in a world that is heavily dependent on the Internet comes with its own fair share of challenges, one of the biggest being information and identity theft. With millions of people partaking in online shopping, banking, and money transfers, the risk of personal financial information theft is higher than ever before. Fraudsters can easily pretend to be your bank or service provider asking for details about your credit card through email or mail. They can also send malicious malware to your computer devices in order to obtain your financial information without your knowledge. Your personal financial information is yours and yours alone to keep. You should only entrust it to your spouse or a very close partner. There are many fraudsters both online and offline pretending to be someone else in order to gain access to your financial information. Never give out your personal financial information through mail, phone, or over the Internet unless you have initiated contact and you know the person you are dealing with 100%. It is always prudent to contact customer care of any company you are dealing with directly first through their trusted website or customer service number to confirm that they are indeed the ones who made the request for your financial information. 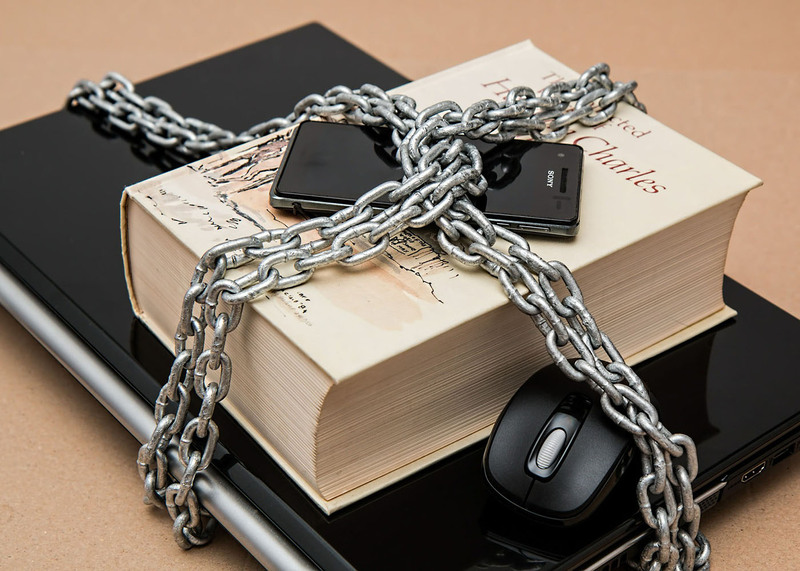 Before you dispose any material or device containing your sensitive financial information, think about what a fraudster could do if they got ahold of that information. For financial information that still comes in the mail, invest in a shredder to help you completely and securely destroy any information printed within your documents. For devices such as computers, laptops, and smartphones, get rid of any financial information stored on them by resetting them to their factory settings before disposal. You can also check your device manufacturer’s website or browse through forums to find other ways to permanently delete information from your device. If you engage in financial transactions online (including shopping or sending and receiving money through online money transfer companies), having personal computer firewalls and security software is a must.1 Ensure you have anti-virus, spyware, anti-spam, and other crucial security software packages that safeguard you from attacks by malware and viruses. Also ensure that these software packages are always turned on and configured to automatically update. To safeguard your online transactions, you must keep your browser safe and secure at all times. This is possible by using encryption software to scramble any information you transfer through the Internet. Always check for a “lock” icon on your browser’s status bar before sending personal financial information. When the lock is present, your can trust that your information will be safe during transmission. The importance of having strong passwords and PINs cannot be emphasized enough. To protect your personal financial information online, use strong passwords that combine letters, numbers, and symbols. You can also use pass-phrases instead of passwords because they are more complex to decipher. You may also opt to use two-factor authentication procedures for added security to your online accounts. Lastly, keep your passwords and login details to various accounts secret and secure. If you share too much personal information about yourself on social networking sites, an identity thief may use this information to answer certain ‘challenge’ questions to gain access into your online accounts and steal your money or personal financial information. Avoid posting your key personal details, such as addresses, phone number, and even your full name on social networking sites. Many public wireless networks, such as in airports, cafes, hotels, restaurants, and schools, are not secure enough to risk using when conducting online financial transactions. Most of these places lower their network’s security settings so that people can easily access and use their wireless networks. However, this also means you are highly exposed to threats and attacks when using such networks. A hacker with the right tools can easily intercept your financial information when sharing the same wireless network with you. They can even tap into your device and observe everything you are doing on your device in real-time from their own device, all while unsuspectingly seated at the other end of the restaurant. Your personal financial information is hardly safe today. It is paramount that you implement most of the protective measures listed above to caution yourself against any theft or malicious use of your financial information. Remember, fraudsters are ruthless and could drain your bank account to the last cent. Take the necessary precautions.